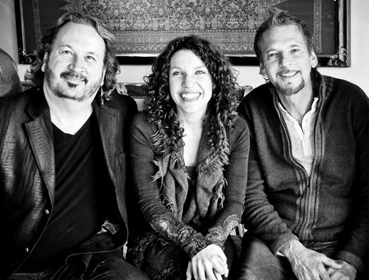 Blue Sky Riders, the vocal trio of Kenny Loggins, Georgia Middleman and Gary Burr, will be releasing its first album, titled Finally Home, on January 29. Together, the seasoned songwriters will perform material from the forthcoming release at The Franklin Theatre November 16 and 17 to benefit NSAI. The showcases follow a recently completed 14 city tour (including a 5 night residency at New York’s Feinstein’s At Loews Regency). Select singles from the forthcoming album and an EP, Live At The Rutledge, are currently available for purchase on iTunes.